All Natural Dry and Cracked Skin Moisturiser - Amphora Aromatics Ltd – Supplier of pure essential oils and aromatherapy Products. Hi all, Sophie here! My latest blog is all about creating a lovely hydrating blend for dry, sensitive and cracked skin. Click to learn more. 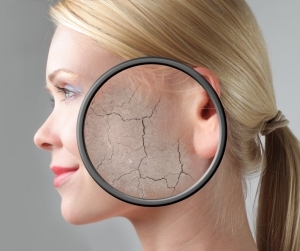 Dry skin is very common, especially around winter time with the colder temperatures. Skin becomes tight and itchy causing discomfort and can often become flaky and even split. When skin is lacking in essential fatty oils it loses its ability to protect itself and loses moisture more easily. This is generally due to the sebaceous glands producing less oil and moisture but can also be a result of poor diet, genetic predispositions, exposure to environmental factors or the use of harsh chemicals and cosmetics. So, it’s very important to hydrate your skin and help it to keep itself healthy. Dry skin can also be sensitive and suffer from skin conditions such as Eczema, Psoriasis and Dermatitis. Certain essential oils can help calm and soothe irritated inflamed skin. When well diluted, Benzoin can help sooth inflammation of the skin, relieve dermatitis and help cracked skin heal. Sandalwood Amyris, Myrrh and Benzoin can help sooth chapped, dry or inflamed skin and have wonderful moisturising and hydrating properties. Rose, Neroli, Lavender and Chamomile are all great choices for sensitive skin as they help to sooth and heal skin. Sesame Seed Oil: Rich in Vitamin A & E, a good choice for those with eczema as has great healing properties and will help sooth itching, irritated skin. Evening Primrose Oil: Rich in unsaturated fatty acids and Gamma Linoleic Acid, both essential for skin health. Will boost circulation and help moisturise skin. Blending oils that are gentle and contain good anti-inflammatory properties like Lavender and Chamomile with moisturising and hydrating oils like Myrrh and Sesame Seed Oil will give you a moisturiser that helps sooth and calm skin while protecting and healing. As with most blends for the face, a 1% dilution rate would be best to begin with. This way you can make sure the blend suits your skin and isn’t too strong. Once you have used your blend a few times and you may feel you need something a little stronger then increase the dilution rate a little at a time until you are achieving the desired results from your moisturiser.